Buddy Club Seats - Racing Spec UNIVERSAL - Pann Auto Performance - San Diego largest aftermarket automotive performance parts - What do you drive? The Buddy Club Racing Spec Bucket Seat is an ultra light weight seat designed from years of experience, challenging the limits of lateral support. 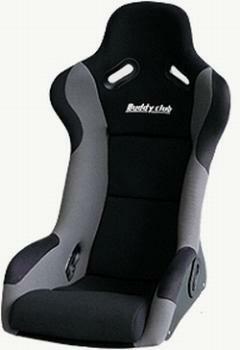 From the experience of all Nippon Super Endurance Races, comes the birth of the Buddy Club Racing Spec Bucket Seat.